Zandvoort (NL) 28th September 2014. 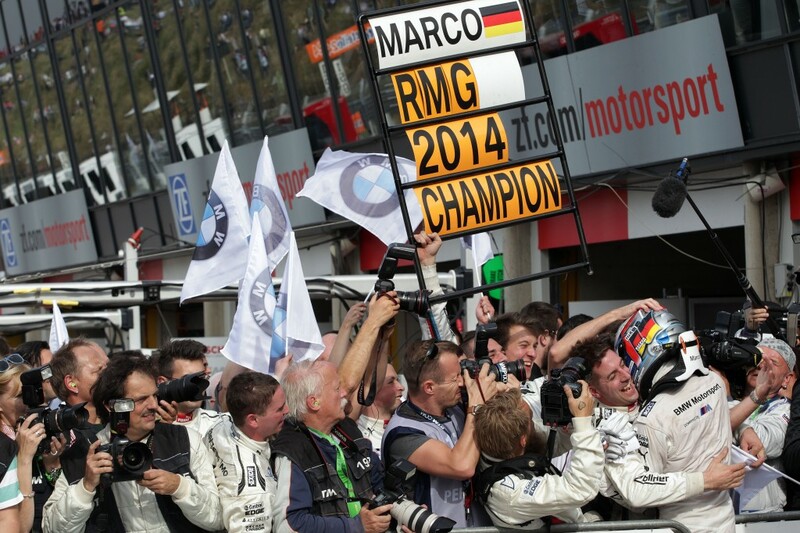 BMW Motorsport, 2nd Place Driver Marco Wittmann (DE) and BMW Team RMG Member celebrate the Team Championchip 2014. This image is copyright free for editorial use © BMW AG (09/2014).